A two-hour road trip to the beach? With three kids under seven? My mind automatically went to audiobooks. But the only one suitable for elementary schoolers at the library was Mr. Popper’s Penguins, and Junior had been studiously avoiding the chapter book version on our shelves at home. 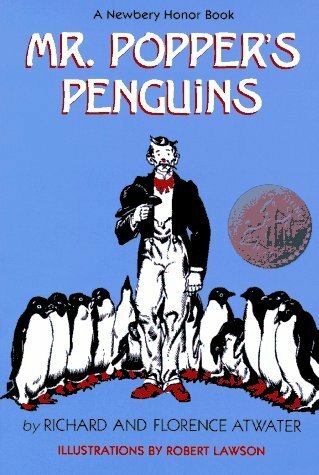 I remembered it as a funny book about a man with a houseful of penguins—but didn’t remember any other plot details. Would a book published in 1938 keep everybody’s attention? The book met with approval! Even the 84-year-old enjoyed the story of a resourceful polar enthusiast and his decision to take his unexpected penguin presents to… Broadway. Scholastic’s teachers’ site lists the book as for grade levels 3-5, but with an audiobook format, even the five-year-old stayed focused on the story. The kids imitated Mr. Popper’s run-in with the town of Stillwater’s bureaucracy as he tried to get his first penguin licensed for the rest of the trip. I’m planning on reserving the 2010 Jim Carrey film for a day when we’re snowbound and stir-crazy. Rotten Tomatoes gives the film a 48% score and notes that the film’s PG rating is for mild rude humor and some language. The book that started it all. Make sure you get the horizontal book, not the vertical version, if you are planning to read it to very young children. We’ve read just about every penguin book our library has to offer. Two were standouts. 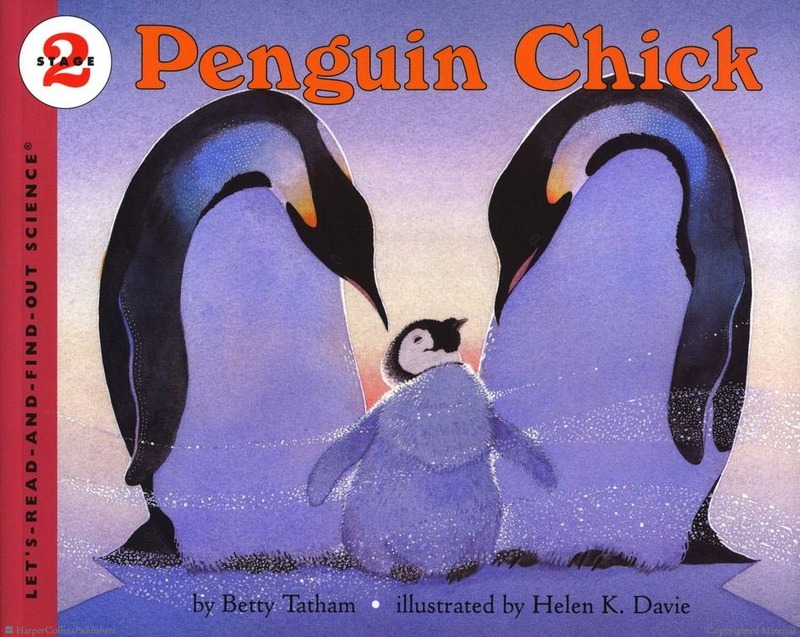 If you want to read about cute penguins and then go visit them, this is the book. The plot is a true story about Roy and Silo, two gay male penguins at the Central Park Zoo who successfully raised a chick. The story is just right for its preschool audience: Roy and Silo desperately want to be parents, and with the help of their thoughtful zookeeper, they are able to adopt an egg and hatch their very own chick—Tango! This book has been tagged as controversial because it depicts a gay family. I'm including this read-aloud so you can see for yourself! We checked the book out of the library to read when Junior was three, read it, and then checked it promptly back in. Months later, we were reading another penguin book at bedtime when Junior said, “I want to read the other penguin book.” We held up penguin book after penguin book, but none were the right penguin book. After much questioning, we determined that the book which had made such an impression was And Tango Makes Three—so we bought it. We’ve since bought it for all the cousins with a promise to take them to the Central Park Zoo when they come visit! Who is sending the family a penguin a day—accompanied by terrible poetry? What is the family going to do with thirty-one penguins, after January is over? What is the sum of 31 + 28 penguins, the amount present at the end of February? How do you organize penguins? How many fish do you need to feed them all? Math is rarely so entertaining—or so graphically illustrated. Thankfully, the penguin guests in 365 Penguins can entertain themselves--because their host family is waaaayyy too busy worrying about where they'll all sleep and how to feed them! Tacky the Penguin. A series about a penguin who doesn’t blend in with the rest of the group. Spoiler: unorthodox thinking can save the day! One Cool Friend. What happens when you abduct a penguin from the zoo? This book seems to have been inspired by an urban legend that someone kidnapped a penguin from a zoo in a backpack. My Penguin Osbert. Sometimes, when you get what you wish for, it isn’t exactly what you wanted, as one child finds out when Santa brings him a penguin who insists on herring for breakfast and creates ice floes out of soap in the bathtub. Penguins of Madagascar. Junior enjoyed this movie. His favorite character is Rico, the penguin who eats everything. However, he did not like the villainous octopus, Dave. March of the Penguins. Best saved for a sick day. Junior found the pace too slow and fell asleep (luckily, he needed a nap anyway). And to close, I give you Davy Jones, formerly of The Monkees, in the studio recording the Sandra Boynton song, "Your Personal Penguin." Real penguin voices are nowhere near as charming as Davy Jones' voice.